The “Big Fish, Little Fish, Cardboard Box” is back with a bang, at Virgin Active. 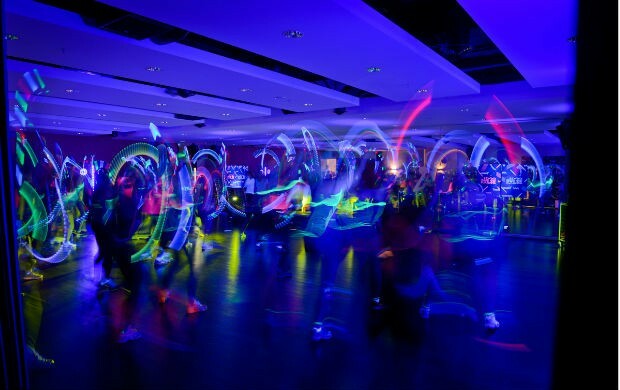 A fun new dance fitness class, Pulse powered by Clubbercise, has just landed in Virgin Active clubs nationwide, bringing with it club anthems, glow sticks, neon attire, and those all-important rave moves. This is a class that makes sure the weekend never feels too far away. Discover a class that feels more like a night out than a work out, with routines that are a simple but energetic mix of funky dance and aerobics moves. Pulse powered by Clubbercise has been specially choreographed by fitness professionals to get hearts racing, endorphins flowing and muscles pumping. Members get to throw their hands in the air like they just don’t care, dancing to a pumping playlist of 90’s club classics and the latest chart hits. This mix has been designed to keep participants partying for the full 60-minute class to familiar tracks that you can’t help but move to. Taking place in studios transformed into dancefloor-style spaces and darkened with disco lights, members will be able to dance like no-one is watching. Glow sticks are of course a must and given out at the beginning of each class and incorporated into all routines to get your arms toned and ready for party season! Pulse powered by Clubbercise launched at Virgin Active clubs nationwide from 2nd November 2015. Head down, grab your glow sticks and get moving!